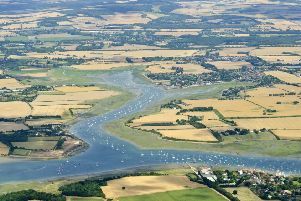 “Chichester Harbour is an amazing space, settled on the edge of west Chichester and sheltered by the ‘humpback whales’ of the South Downs, as Rudyard Kipling so aptly described them,” says Louise Goldsmith, a board member of Chichester Harbour Conservancy. “It is rightly designated as an Area of Outstanding Natural Beauty, recognised as a Site of Special Scientific Interest and is on the Ramsar List – one of more than two thousand wetland sites of international importance. “In short, it has huge environmental significance. “You can walk or cycle round the harbour, paddle board, kayak or sail. It offers something for everyone, including birdwatchers, too. It provides a highly valuable open space for residents and visitors to enjoy and, at a time when mental health is high on the agenda, we all are aware that access to the outdoors plays an important part in our wellbeing. “I have the privilege of representing harbour villages as well as living in one, and I count my blessings. I have walked every footpath over the years and been lucky enough to see peregrines, ospreys, avocets and even the odd seal enjoying a swim in the harbour. I am not alone in thinking this very special place means so much to so many. “However, it needs our protection as it is under threat as never before. Climate change is having an impact and that has so many implications for the abundant wildlife that lives in or visits the harbour. Combine that with development in close proximity to this special area, it will undoubtedly cause more environmental degradation, which in time could be really serious. “I do not envy Chichester District Council as they prepare their local plan. 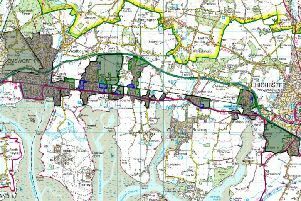 “They have to provide more homes but, as one who sits on the Chichester Harbour Conservancy Board, and have done so for 18 years, I have real concerns with certain aspects of the plan. I believe there are more creative ways that need to be examined in order to strike a balance between achieving homebuilding targets and protecting the environment. “We need to protect these fragile important spaces for the next generation and beyond so that they can enjoy, look, learn from and marvel at their beauty.